Santa is coming, Santa is coming! Well…maybe not quite yet, but soon! And along with Santa, and reindeer and cookies comes the one thing that truly makes the holiday season rock: hot chocolate. No matter how old you are, there is no shaking that deliciousness of hot chocolate. It’s warm, it’s sweet…and it’s CHOCOLATE. Need I say any more? As I’ve gotten older, I’ve realized that my parents never fully introduced me to the wonderful world of hot chocolate toppings. I had no idea that there were so many and that there were just “there”, waiting to be piled on! If you love hot chocolate and are searching for some new ways to spice up that flavor, you’ll love all these hot chocolate toppings that you can choose from! Check out these eggnog recipes as well! 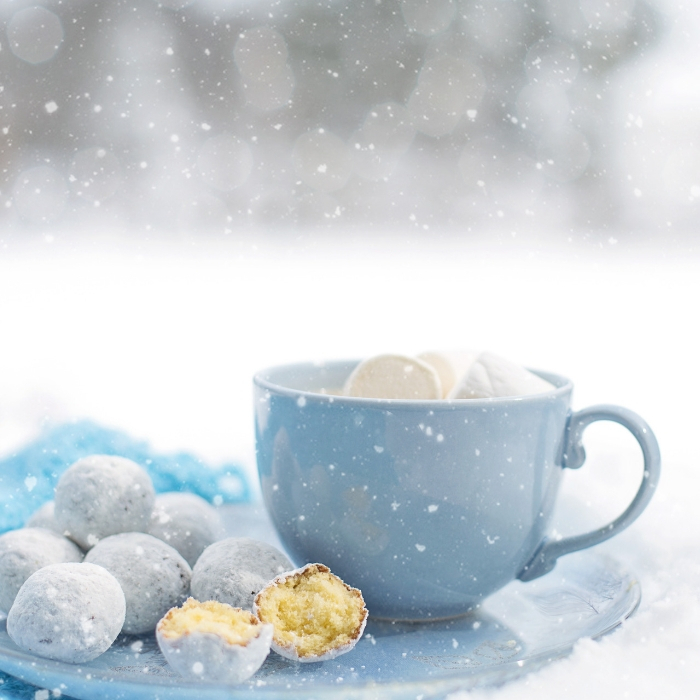 The sky is the limit on what you can top your hot chocolate with! But just in case you need a few ideas, here are some great toppings to help get you started! It’s really not possible to have hot chocolate that has too much chocolate, right? I don’t think so, and I’m certain that you’ll agree. Don’t limit these chocolate chips to just “regular”. Think butterscotch and white chocolate chips, too! This is a given, right? You cannot…and I repeat, CANNOT…have hot chocolate without whipped cream. It’s like eating peanut butter without the jelly. It isn’t normal! Miniature marshmallows are the keyword here. No giant marshmallows allowed. Just the tiny, cute baby ones that fit perfectly right inside your cup. They’ll melt perfectly and not overpower the flavor of the hot chocolate. Again, more chocolate, more chocolate! A few swirls of chocolate syrup on top of your whipped cream, and you’re set to conquer the day. Cinnamon stands out from the rest of the toppings for me. A few sprinkles and dashes of cinnamon right on top and you’re hot chocolate will be a whole other level. Seriously, it’s just that good. Who says you shouldn’t have to chew a bit of some of your toppings? 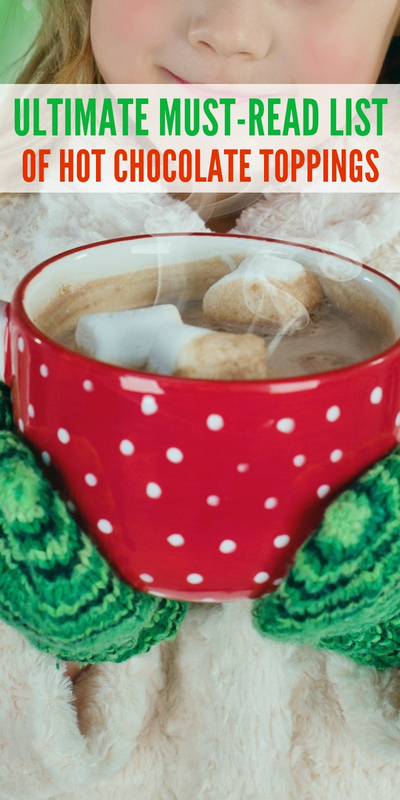 With just a fun hint of coconut, your hot chocolate will be stellar! I love adding just a few shavings of coconut to the very top of my whipped cream, and then eating it off with a spoon! If for some reason you don’t like whipped cream on your hot chocolate, then a few sprinkles of powdered sugar can do the trick as well. It’s not too heavy and does a great job of kicking up the sweetness just a little bit as well. Plus, it looks like snow which is always fun and festive! Why not give yourself that challenge and treat yourself to a cup of hot chocolate a week (or day!) and see what kind of new and inventive toppings you can come up with! Sounds like the perfect way to kick off the coldest time of the year! What hot chocolate toppings do you enjoy?